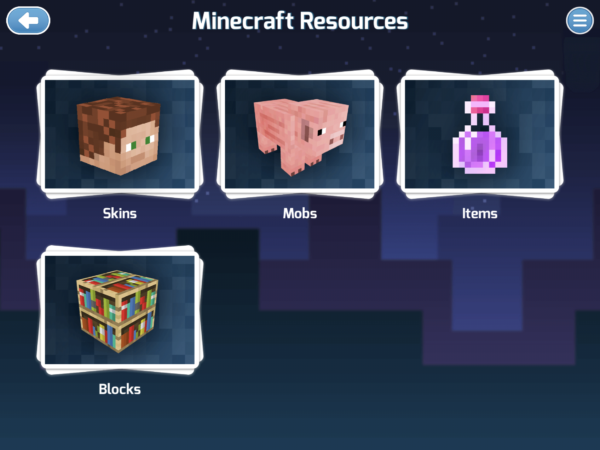 With Mod Creator, you can save and import your own skins into Minecraft. Build anything you’d like: your own custom world filled with blocks like cake and pink sand, or items like lucky blocks, rainbow swords, and magic potions. You can even design mobs like colored sheep, rainbow chickens, and textured horses.Use block coding to create custom mobs such as a thunderbird, a three-headed wolf, or a unicorn! With the built-in 3D editor, you can create custom mobs with extra parts and shapes. Open up the app and log in to your Tynker account. Select the resource template that you would like to start with. In the Resource Editor, name your new creation by typing in the field next to the save button at the top left of the screen. Start drawing, editing, and changing the resource. If you have any questions about the tools, click the help button in the top right for more information on how to edit the resource. When you’re happy with your creation, click the save/download button in the top left. 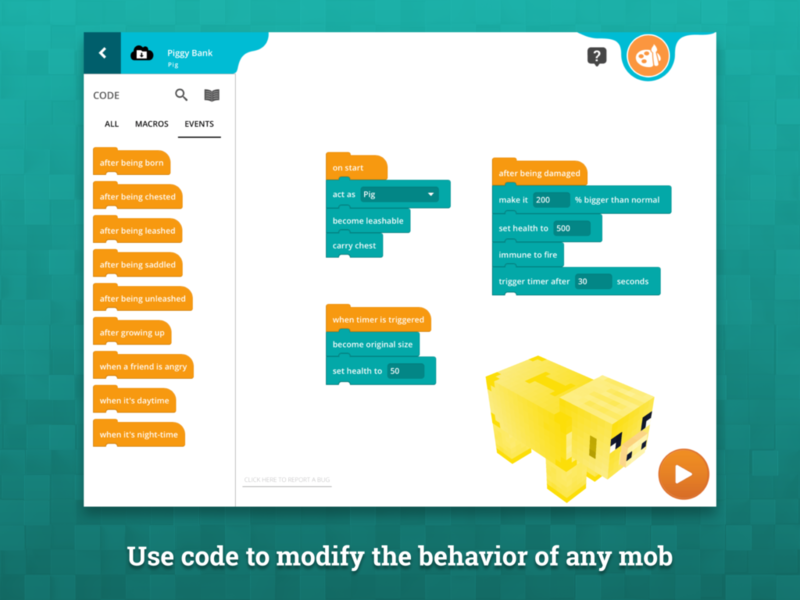 Mobs created in the Mod Creator app also be given new behaviors using the Behavior Editor. When you're in the Resource Editor you can click the button to access the Behavior Editor. When you're in the Behavior Editor you can click the button to access the Resource Editor. Switch to the Behavior editor by clicking on the code blocks in the top left in the Resource Editor. Use the code blocks on the left to program your mob. If you have any questions about what each block does, click the help button in the top right and go to the Behaviors section for more information on the behaviors. When you have edited the behaviors to your liking, click the save/download button in the top left.